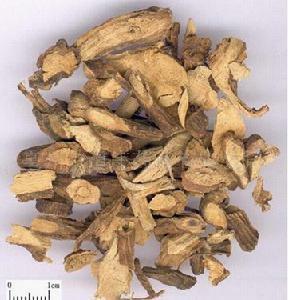 Bitter, cold, slightly toxic; lung, stomach and lung intestine meridians entered. Clear heat and remove toxicity; resolve swelling and alleviate pain; promote diuresis. Sore throat; cough with lung heat; mumps; diarrhea; jaundice; rheumatoid arthritis; haemorrhoid; snake and insect bites. Decoct 3~9 g. It should be slowly swallowed in the mouth for sore throat. Proper dosage is for external application, pounded into powder for applying or decocted for washing.